• Sugars and sweet flavorings play a very important role in our enjoyment of food. Their appearance, texture, taste, and versatility can be utilized in many ways to enhance cakes and pastries, fruit desserts, and even savory dishes. • There is little difference in the calorie counts add a particularly rich flavor and color to both white and brown sugars, but the flavors sweet and savory dishes and they are often are very different. Some of the darkest sugars specified in recipes for desserts and cakes. Softening in a microwave: To soften brown sugar, place in a microwave-proof dish and add a wedge of apple. Cover tightly, and microwave on High for 30 seconds. Remove apple and stir. Storing brown sugar: Keep brown sugar moist by storing in an airtight container with one or two wedges of apple. Alternatively, use a whole citrus fruit, or a piece of fresh bread. Making vanilla sugar Bury two vanilla beans in a jar of sugar, and let stand at least one week. Stir occasionally. 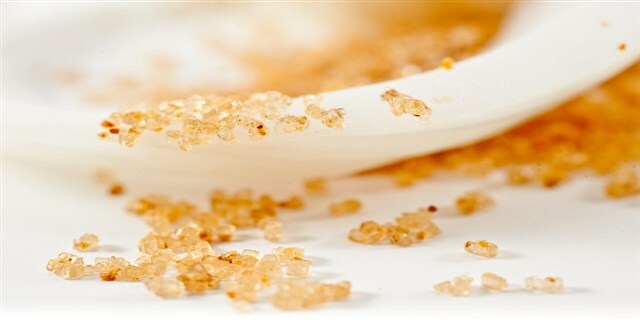 Use this vanilla-flavored sugar in sweet dishes. • To add subtle flavor to sweet dishes, desserts, cakes, and cookies, flavor the sugar used. To impart a citrus flavor to sugar, pare long, thin strips of zest from an orange, lemon, or lime. Bury the strips of zest in a container of sugar, and store for at least three days before using. • Making scented sugar: Add two sprigs of fresh lavender or rosemary to a container of sugar, and shake well. Let stand 24 hours, then shake again, before leaving for one week. Use lo sweeten milk-based puddings and fresh faiit desserts. • Preventing lumps: To keep packages of brown sugar from absorbing moisture and forming lumps during storage, place them in a thick plastic bag in a cool, dry place. • Making superfine sugar: If you run out of superfine sugar, make your own from granulated sugar. Place it in a food processor with a metal blade, and process for a few seconds for a fine consistency. • Keeping a thermos fresh: Add a sugar cube or a teaspoonful of white sugar to a dry, empty thermos bottle before storing it away. This will prevent stale smells from developing inside. Honey, Syrups, Jams, and Jellies. Like most natural products, honey is affected by light and heat and does not respond well to wide fluctuations in temperature. Processed syrups, jams, and jellies are more stable, but they will also deteriorate if exposed to air and heat. Once opened, keep them in a refrigerator. Reliquefying in hot water: If clear honey becomes crystallized during storage, reliquefy it by standing the jar in a bowl of hot water for five minutes. Then rotate the jar a couple of times until the honey 1 becomes clear and liquid. Measuring Honey: Using a heated spoon To measure amounts of set honey and syrups easily, use a metal spoon that has been dipped in hot water. Honey and syrup will not stick to a heated spoon. • Using blended honey Choose blended types of honey for cooking, since these have a robust flavor. The delicate flavors of more expensive flower honeys are destroyed by heat during cooking. • Substituting syrup Honey and corn syrup contain 20 percent water, so reduce the liquid content of recipes when using instead of sugar. Making an apricot glaze: Gently warm some apricot jam with a squeeze of lemon juice, then push through a sieve. Store in a screw-top jar in the refrigerator for a pre-made sweet glaze. Keeping preserves fresh Buy preserves that have a minimum of 60 percent sugar content, which prevents mold. Chocolate is available in several different forms. In general, the better the quality of solids and more sugar, the better the flavor will be. And inexpensive chocolate forms contain less cocoa. Also, chocolate is damaged by moisture and heat, so store it carefully. Storing grated chocolate:Grate chilled chocolate on a food grater to make fine curls. Store in a plastic bag in the freezer so that you can remove just the amount you need for cooking or decorating. 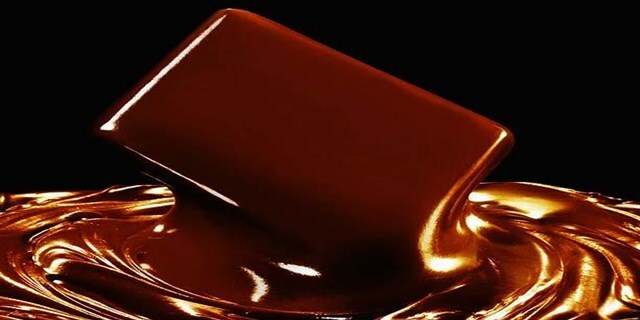 • Cooling to keep fresh: Wrap chocolate tightly and store at a low temperature, ideally around 60°F (15°C). • Preventing bloom: Seal in flavor and keep out moisture by storing chocolate wrapped in baking parchment, then overwrapped with foil. • Storing chocolate chips: Keep chocolate chips in a storage jar, ready to put into doughs and batters. They are low in cocoa solids, so they are less sensitive to temperature changes than other chocolate. • Preventing lumpy cocoa: Cocoa absorbs moisture easily, so store it in a container with a tight lid. Remove any lumps by sifting before using. Enriching meat dishes: Use chocolate to enrich the flavor of spicy meat or game casseroles. Add I 02 (25 g) of dark chocolate for every four portions of chili con came, for example, during cooking to enhance its flavor. Cooking Safety Tips You Need to Know How To Cook For Extra Guests? Cooking Tips For Fruits? How Can I Cook Duck? How Can I Prepare For Cooking? How Can I Became A Great Chef? How Can I Cook Soups, Stocks, And Sauces? How Can I Make Salads With Vegetables?